A simple but highly effective piece for the festive season. Both parts are played on just the one string. 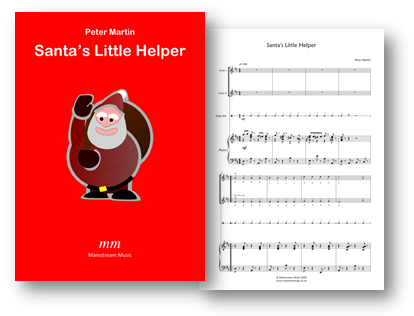 The PDF also contains parts for viola and cello. Click here to listen to a recording of the piece. Click here to visit the score's page. Click on the image below to view & listen to the score on YouTube.